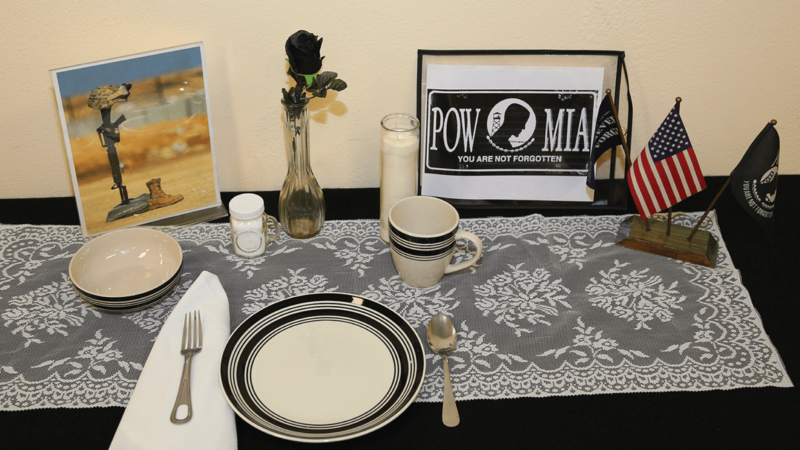 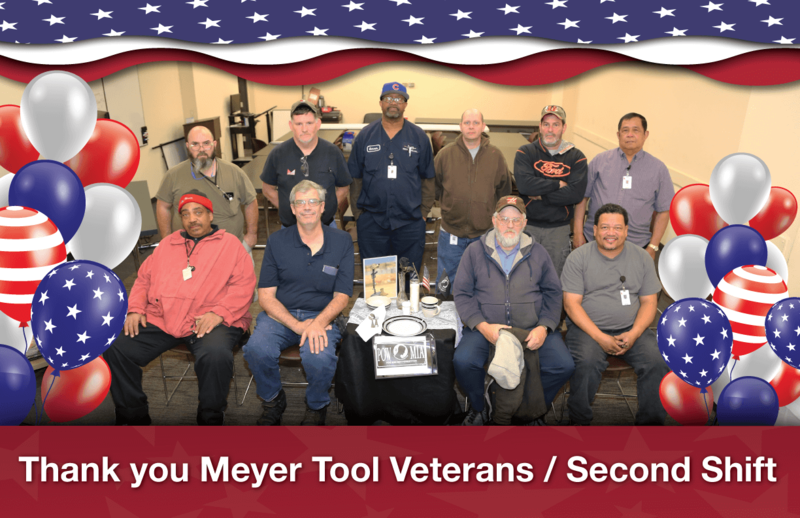 On Monday, Nov. 12th, Meyer Tool veterans gathered for a catered lunch (day shift) and dinner (night shift). 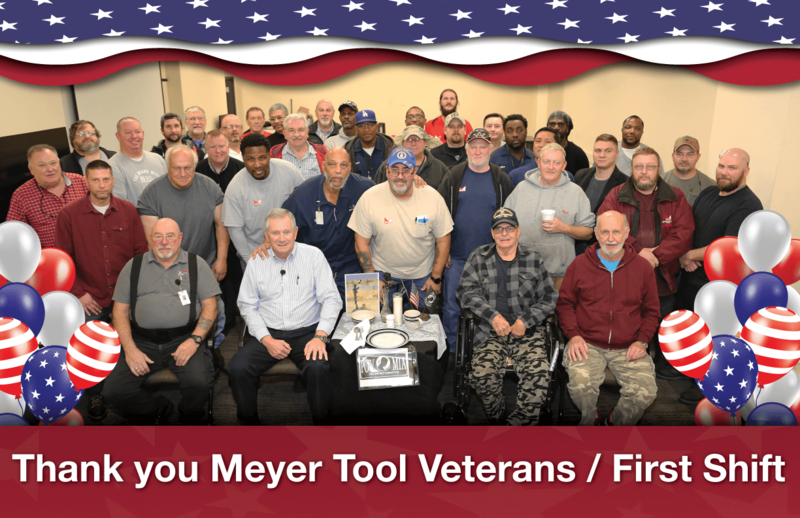 This is an annual event at Meyer. This meal provides an opportunity for Meyer management, volunteers, and co-workers to say thank you to all of our veterans that served and sacrificed for their country. We are proud to work alongside you on the Meyer Tool team.